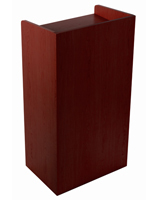 This lockable restaurant host stand can be used as station for a hostess at a dining facility or as a speaker’s podium for a presentation or tradeshow. 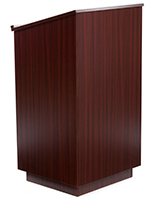 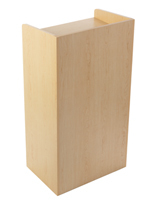 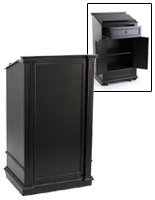 Each lectern includes a large secure storage cabinet for housing valuable items. 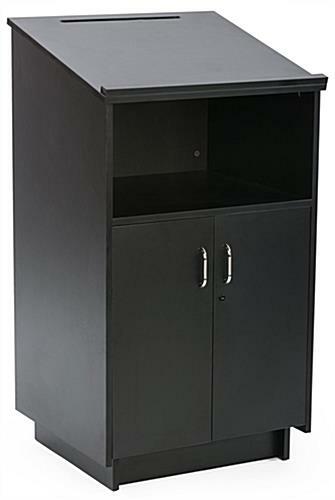 The black host stand features an interior shelf for holding menus or other materials. 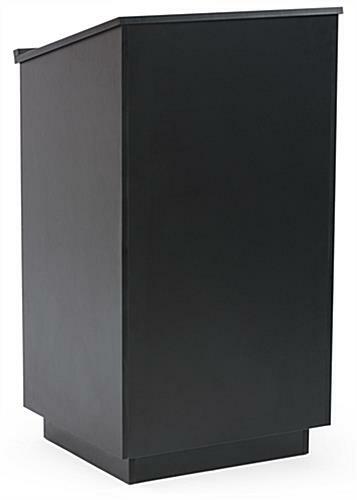 Each speaker’s podium has a storage cabinet, which has locks on both doors to keep valuables secure. 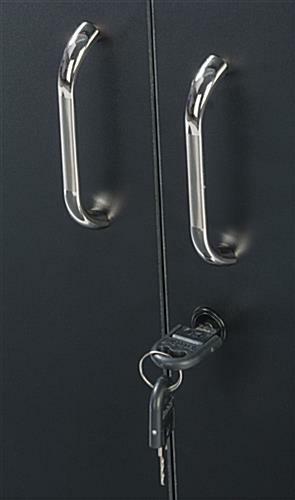 Two keys are provided with each unit. 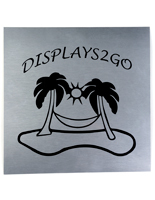 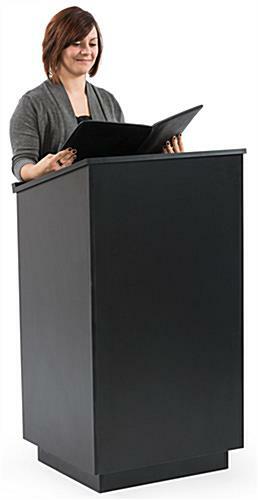 The host stand has a large reading surface of 25”w x 22.25”d. 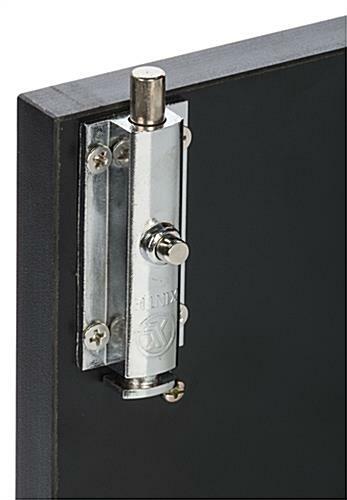 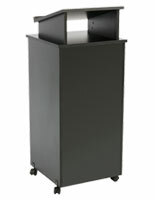 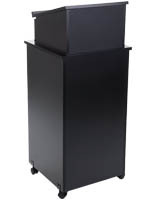 Each lectern has a black melamine finish adorned with two chrome finished handles. 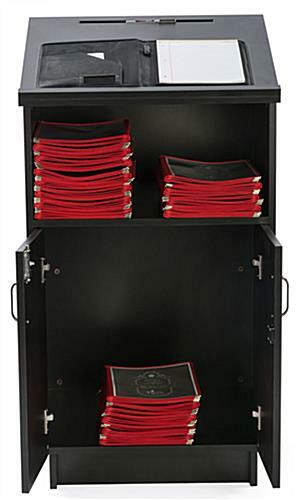 27.8" x 45.5" x 23.5"
22.8" x 22.8" x 21.0"